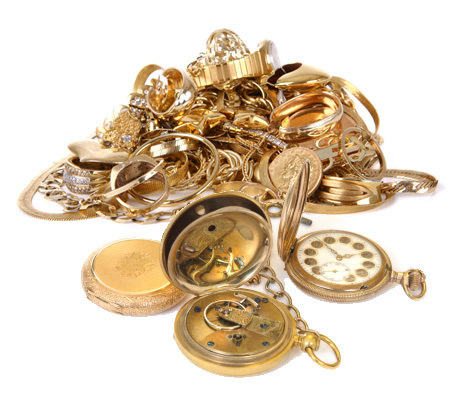 With gold prices high, now is the time to look through your jewellery box and drawers to sell any unworn, unwanted or broken pieces. We have over 25 years buying experience - you can trust us to pay top prices and we will try to beat any genuine quote. We buy antique jewellery - watch chains, diamond rings etc... Scrap gold - chains, bracelets, earrings etc in any condition. Gold coins including krugerrands, sovereigns and half sovereigns. Gold wrist or pocket watches. We also buy platinum. Silver tea sets, salvers, watch chains and cuttlery etc... War medals.